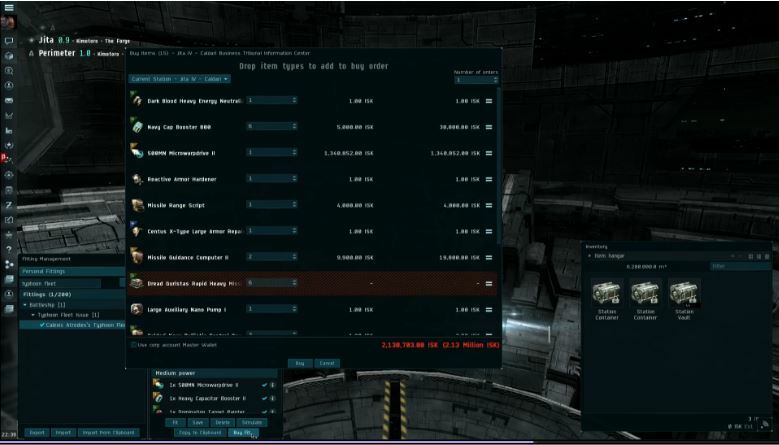 CCP Karkur announced progress on her team’s work on the Ghost Fitting feature that was announced at Fan Fest earlier this year. The coming feature has no announced release date, but look close to done. This feature allows the theoretical fitting of a ship, a perfect tool for theory crafting with different combination of modules and rigs. 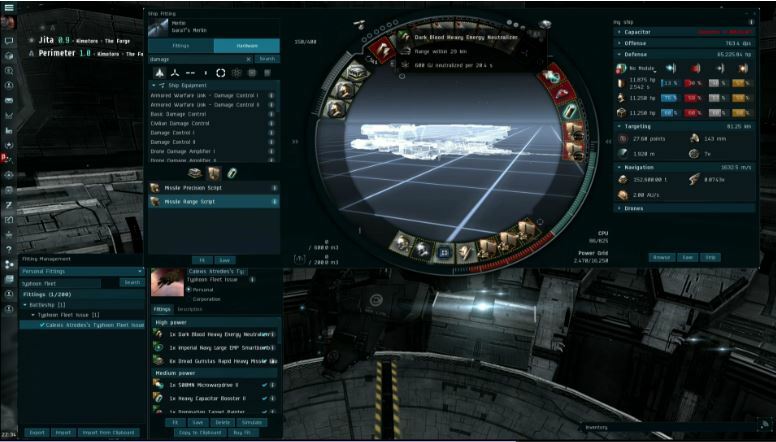 Statistical reports the DPS, EHP and other statistics as you move modules and rigs off and on. You can also see how overheating will affect the stats. Link affects will not be available initially, but possible in the future. From the Ghost Fitting window you will be able to buy it all with the click of a single button. The UI appears to be the multiple selling window in reverse, now multiple buying. IT is unknown if multiple buying is a stand alone feature, but it works very well as a companion to ghost fitting. One of the side affects of multiple buying will be the pressure to use well stocked market hubs, so large trade hubs will be even more important to buy from because everything will need to be there, in bulk, for this feature to be used optimally. Jita, Amarr and Dodixie will benefit most. Smaller hubs will lose business. 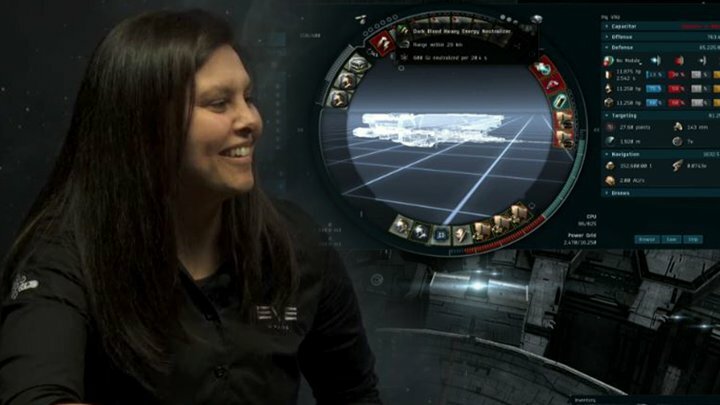 CCP Seagul, at the CSM Winter Summit, talked about the balance of the EVE client (HUB and UI) and the 3rd party developers that create calculators, apps and tools outside of EVE. Seagul believes in strong support for community developers, but said they would “recover core gameplay”. Ghost fitting and bulk purchasing fits that mold, allowing new players to theory craft from the client instead of EFT or Pyfa. The real winner are logistic teams of alliances that have to build or purchase lots of ships and fittings for their fleets. This feature will save them many hours or labor. I have learn some excellent stuff here. Definitely worth bookmarking for revisiting. I surprise how a lot effort you place to make this kind of magnificent informative web site. Thank you a lot for providing individuals with a very pleasant possiblity to read from this website. It is often so kind and as well , full of a lot of fun for me and my office peers to visit the blog particularly thrice every week to study the new tips you have. Not to mention, we are at all times impressed for the breathtaking ideas you serve. Selected 3 tips in this post are truly the very best I have ever had. I have mastered some new items from your web page about computers. Another thing I’ve always assumed is that laptop computers have become a product that each home must have for some reasons. They offer convenient ways to organize households, pay bills, go shopping, study, listen to music and in some cases watch tv programs. An innovative method to complete these tasks is a laptop. These pcs are mobile ones, small, robust and lightweight. I have actually been a yahoo customers for some years currently. I am only starting to use the tools which they give, among which being article. I have actually composed a blog site and also wishes to understand if my blog posts are being seen by others. Otherwise after that does anyone recognize exactly how I obtain my blogs posts review.